After we had Roxanne, our first bird, for about a year, we felt confident enough to rescue a Blue and Gold macaw from an appointment with a breeding facility. When Miss Bubba Boy came to us she was already seven years old. Roxanne was still only 3 and one-half years, and far from being sexually mature. We didn't have a clue! We expected a male Blue and Gold. We took her to our veterinarian for a checkup and a DNA test, and Bubba Boy came back to us a DNA-sexed female! We had already noticed a penchant on her part for getting under towels and blankets, and for chewing on t-shirts and socks. We picked up a pine board crate at Ikea and stuck it in our walk-in closet with a bunch of old towels, shirts, and a derelict bathrobe. Miss Bubba Boy happily started chewing away. Within a month of acquiring her she's sitting on an egg! Are we surprised. Of course the egg wasn't fertile. 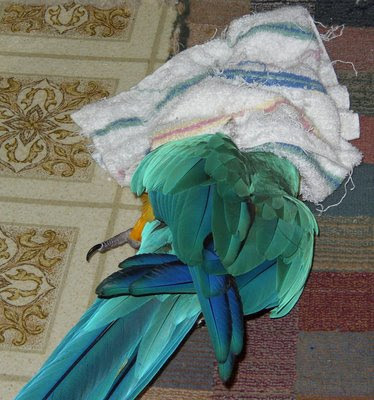 We had no male macaw in the house at the time. Exactly three days (and 15 minutes) later she laid another. With clockwork precision she laid a third and fourth. Each exactly three days apart, give or take fifteen minutes. We could easily predict the time of the third and fourth egg. Were we relieved when a fifth did not appear! Reading everything we could find about egg laying parrots, we decided to let her sit on the eggs, rather than take them away. This could simply have triggered another egg-laying episode, not a healthy thing for a parrot. And talk about a devoted mother! We brought her food and water. 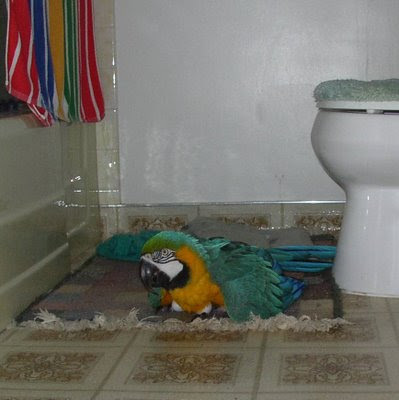 To ensure she got some exercise, we would take her to her cage in an adjacent room to do poopy, and let her run back to the nest. Can she run! Of course if I or any one of the cats came near the nest, look out! After a couple of weeks of sitting she would occasionally stroll out of the nest and wander about for a short time. After the third week, she would roll each egg in the order laid under the blanket and turn her attention to the remaining eggs. By the fourth week she gave up on the last egg and returned to her cage! We immediately took the crate out of the closet and out of sight! For the next couple of years we deliberately prevented Miss Bubba Boy from trotting into closets and tearing up old shirts and blankets. She tried newspapers for awhile, but that didn't seem to be quite as satisfying. We breathed a sigh of relief when the next year passed by without any eggs, and another sigh of relief the following year. When the third year passed without any eggs we thought that maybe she was over it. But the old adage is true: Where there's a will, there's a way! 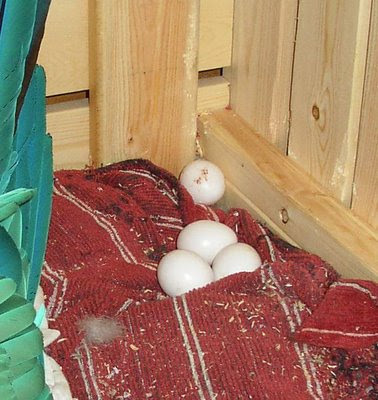 Miss Bubba Boy and her first clutch of eggs came to us in 2002. By 2006 she was ready for another. Remember, we deliberately kept her out of closets and away from clothes and blankets to chew up. 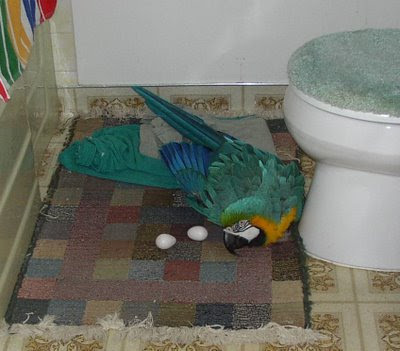 So what does she do: She lays a clutch of three eggs on the bathroom mat next to the toilet! Again, with nearly the same precision as her original clutch. The only difference was, the clutch was three eggs instead of four, and the third egg came an hour early. Well, it made going to the bathroom a challenge for a month! Thankfully we have a second bathroom in the basement. Nearly three years later Miss Bubba Boy seems mellow and supremely serene. No additional eggs yet. We've got our fingers crossed, but. 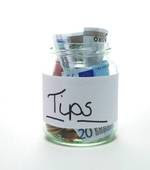 . . you never know!